Some of you may or not be aware of the type of field I work in. My profession is notorious for being a high stress job for a number of reasons - high workload, high expectations, low pay, low support are just a few of the reasons why. Unlike many other mental health issues, such as depression and anxiety, stress does not appear to have the same level of taboo attached to it. 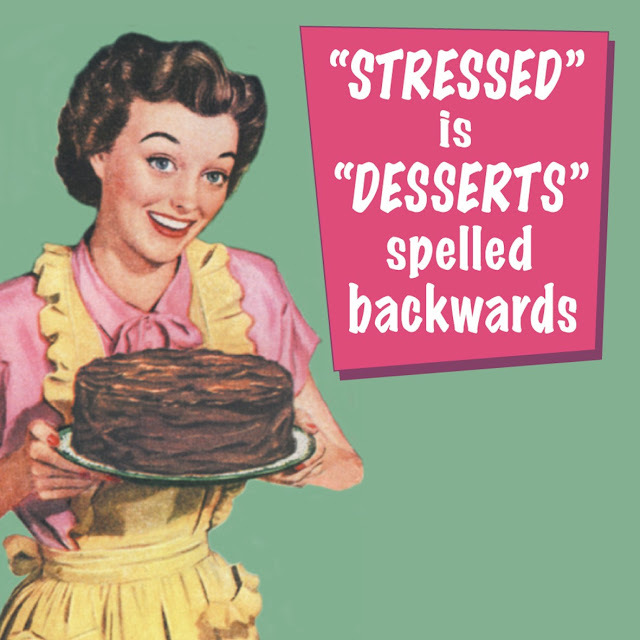 Maybe this is because we as a society talk about being stressed all the time. How many times have you, yourself said, or heard someone else say "Oh my god, I am just so stressed!" but actually, are you really? Honestly? Stress amounts from too much of something; too much pressure; too much expectation. 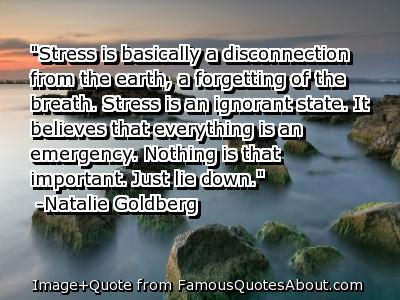 It makes sense therefore, that a small amount of stress can be a good thing. It gives our adrenaline a boost, that drive to be more productive, to strive to achieve our best, so that once that short pressurised period is off, we can stand back and enjoy the product of our endeavours, with a sense of achievement. I remember my uni days, where I genuinely believe, I produced my best work by tackling it less than a week before the due date; those frantic 4am finishes ready for a hand in the next day, knowing I had the rest of the week to sleep it off. Many of us will agree that we work better under pressure, and sometimes its easy to see why that might be, when we consider the above point, but we all know the saying, about too much of a good thing. Too much stress can result in that drive and motivation moving at warp speed. You know, those times where you appear to be running around like an idiot, not having anything to eat, and apparently getting lots done, but when you reflect afterwards you realise that actually, nothing was really achieved in that period of time, and you wonder exactly what it is you were doing. When we are under pressure, our body runs on adrenaline, to keep us pushing through and fighting on, but your body can only produce so much without the time to repair, so you can become tired, lethargic and without any energy. This isn't to say you lose interest, just that physically, you struggle to keep going. But what if too much, becomes more than that? 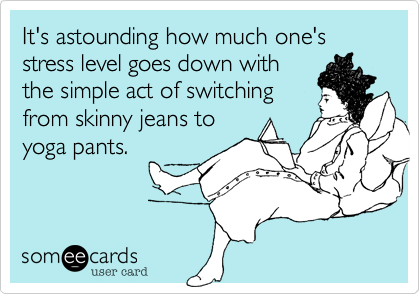 This can lead to burnout. Unlike stress, burnout is not about too much, its about the opposite. Where stress can motivate, burnout results in lack of interest and disengagement. This can transfer into all aspects of life, even if the stress is only really coming from one. It's that feeling that every day is a bad day, no matter what has happened. Instead of the fight aspect, you're flight instinct kicks in. In some respects, burnout is all the more worrying. So why did I decide to talk about this issue? Because I have been to both of these places at some point in my life. I like to think that generally I deal with stress relatively well. I am able to keep going and going and going and eventually I come out the other side - a bit like riding a wave. But there has been times in recent months where I've literally wiped-out! Stress and Burnout can affect me, personally in rather odd ways. Its not been unusual for me to come home from work, (late I may add) walk straight into my bedroom, get under the covers, fully clothed, in the dark, and cry. I think my other half is getting used to this behaviour now, but the first time it happened, I refused to come out so he ended up calling my mum! When I say he is used to it, it's not that he's any less concerned, just that he knows during these times I need encouragement to relax and take some timeout. Just someone taking the time to turn on a lamp, bring me a cup of tea and a biscuit without asking at times like these, mean a lot. He is also really good at making sure I'm distracted, when taking so "me-time", as otherwise I tend to think about the work I'm not doing, which is counter productive. I can often be quite reclusive, or depending on exactly whats going on, I can be the complete opposite, and be the life and soul of the party, but in reality all I am doing is avoiding the situation. In periods of stress I often have odd eating patterns in that I live on complete rubbish. Lots of friends I know just don't eat, whereas I literally could eat the desk in front of me - if it was coated in grease or sugar that is! 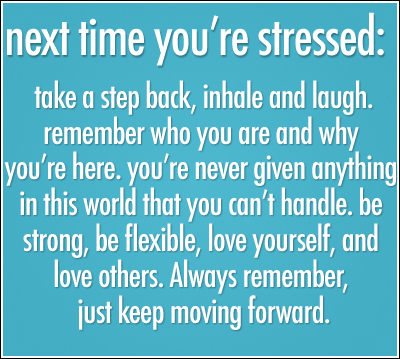 It is important if you feel your stress is becoming unmanageable, that you take time out. If it's work related, stop working. This may seem counter productive, but staying up until the small hours working whilst feeling completely on the edge, will not produce anything of any quality. I find that if I actually go to bed and sleep, and wake earlier the next day, I achieve much more than I would have. I have various things I like to do, that do not stress my body in any way, and help me unwind. I enjoy reading and that sense of escapism, and that time to relax can be a big help. Just laying in a bath doesn't work, as my brain starts spinning, but just by reading something completely unrelated to anything I do at work (this is why I cannot read anything along the lines of A Child Called It) gives my brain chance to switch off, and deal with something completely at odds to whatever its usual function is. I've recently started running as well. Many of my friends have told me what a great stress reliever it is, and even though I'm not at the stage where I'm pounding the pavements with my ear phones on, in my own little world, that 45mins to an hour of just getting out in the fresh air, getting my heart rate up and pumping blood around my body, really has given me an odd sense of calm afterwards. I'm not an expert in stress, and this really wasn't a post to endear sympathy from anyone, but I wanted people to think more about what genuine stress is and how it affects different people. Tomorrow I will be reducing my stress levels via a bit of retail therapy with some lovely bloggers at the Sheffield Meet Up tomorrow. It's my first "official" organised meet up (with goodies and the like!) so keep an eye on my Instagram and Twitter for updates during the day, and look out for my post too! very inspirational post and images! Absolutely adore this post! Everything about it is perfect, and so engaging. Thank you so much for sharing.